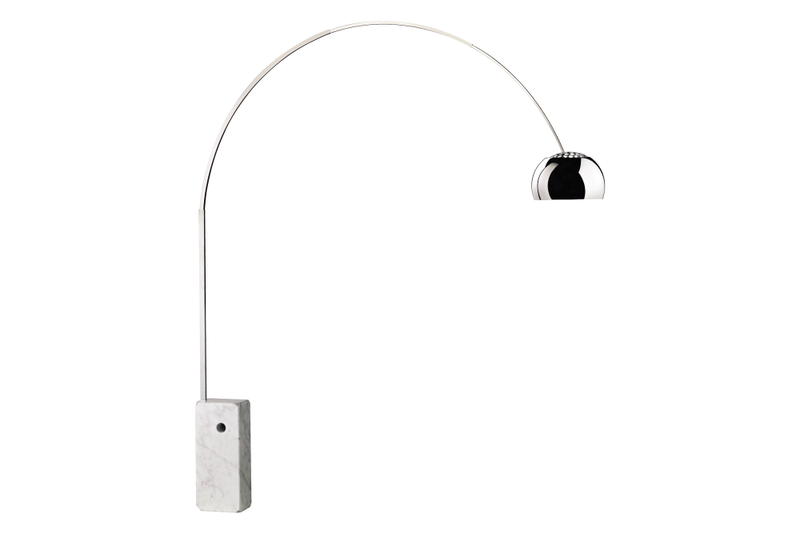 The Arco Floor Lamp by Achille & Pier Giacomo Castiglioni is one of the most iconic classic lighting designs of the 1960s. This ingenious floor lamp is one of the most imitated design icons ever and there are several versions of how it came to be designed. But in fact this visionary synthesis of genius, simplicity and perfection, designed by Achille and Pier Giacomo Castiglioni in 1962, was simply in response to the need for a suspension lamp that could shine its light on a table without requiring holes to be drilled in the ceiling.